Born in San Francisco, Jim Goar has lived in Tucson, Arizona; Changsha, China; Boulder, Colorado; Bangkok, Thailand; Seoul, South Korea; Norwich, UK; and in Brevard, North Carolina. Read other samples of Jim's poetry here, here and here. Jim was born in San Francisco, California. Since then he’s lived in Tucson, Arizona; Changsha, China; Boulder, Colorado; Bangkok, Thailand; Seoul, South Korea; Norwich, England; and whenever possible, Brevard, North Carolina. He studied prose at Naropa’s Jack Kerouac School and poetry at The University of East Anglia. 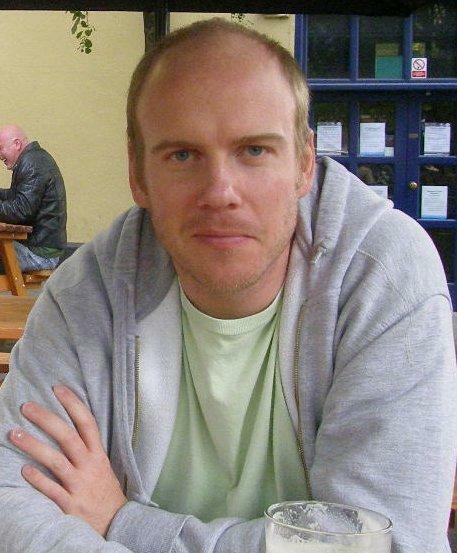 He edits the online Journal, past simple. 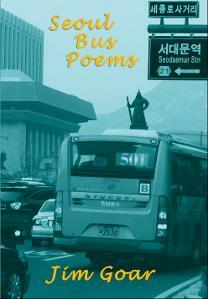 Seoul Bus Poems was his first perfect bound book.